In the spring of 2016, it was agreed by all health and human service agencies in attendance at a county health department meeting, that we complete a Community Health Needs Assessment in 2016. A Community Health Needs Assessment is often used by local health and human service agencies to evaluate the health status of residents and identify health issues and concerns within a community. The 2016 Ashtabula County Community Health Needs Assessment builds upon a previous County Health Needs Assessment completed in 2011. Conducting Community Health Needs Assessment every three to five years allows health and human service agencies to track and evaluate health issues and concerns over time. This Community Health Needs Assessment report provides updated and statistical health status information on county residents. This report not only provides information on county death and disease rates, but also contains information on how county residents perceive the health status of the county, as well as how residents perceive the quality, accessibility and availability of health care services in Ashtabula County. 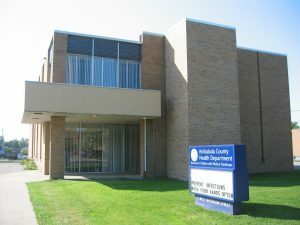 It is also worth mentioning that the 2016 Ashtabula County Health Needs Assessment Report allows for health and human service providers in Ashtabula County to directly compare health status indicators such as death and disease data with those found in the 2011 Community Health Needs Assessment Report.